This vividly colourful cafe is poised to become a pretty big hit, celebrating a well-curated selection of crowd-pleasing local fare in a fun & friendly suburban setting. ... as well as Hainanese chicken rice with super-smooth fowl & kitchen-made chili dip (RM12.90). No surprises here, but familiarity can breed righteous comfort. Chuup shows respect for why these recipes are so beloved. For folks who fear carbs, pork's a pleasure; can't fault "Grandma's pork chuup" (RM18.90) _ shallow fried, marinated loins with spinach & potato carrot ragout. Pure protein & fine fibre at fair prices. 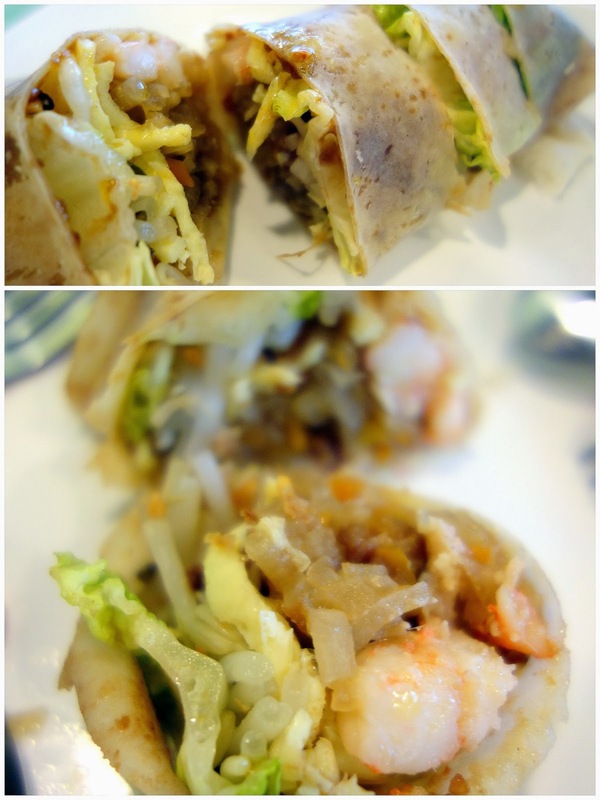 Also a success: Popiah stuffed with prawns & dried shrimp in Chuup's own-made popiah skin (RM4.90). The food feels fresh; nothing seems like it was left on the shelves for too long. 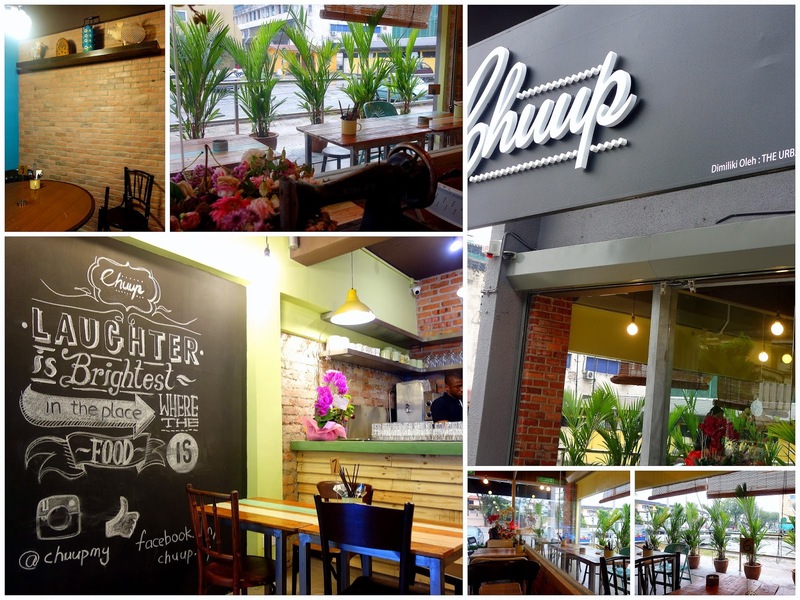 That's a testament to the hard work & thoughtfulness of Chuup's team, which claims to be newbies to the F&B business. 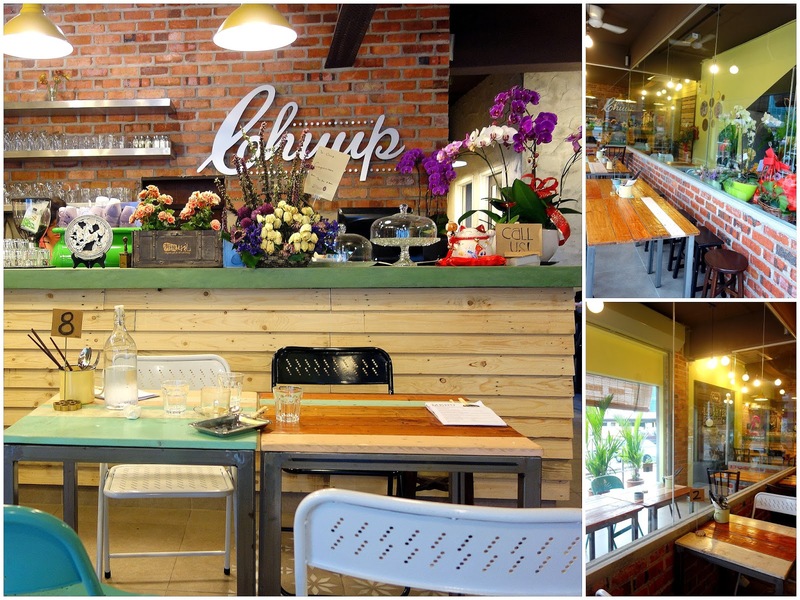 Chuup serves Puro fairtrade coffee; for a tropical-fruit twist, have it as a coconut latte (RM9). Local durian coffee (RM5), with a discernible flavour that's mellow, not overbearing. Oooooo...love the food! Prices on the high end but ah well, it's a cafe. As long as what they dish out tastes great, that's fine by me. Durian coffee? Got kopi-o-peng or not? Ooo I would have guessed tht this place is pork-free. Pork chuup is such a cute name! the hainanese chicken rice portion is abit too little for me, XD. I love the exposed brick. The rice looks pretty good, Sean. just to confirm Wed to Mon.. means you open everyday except Tuesday? that's pretty near my place! shall check it out one of these days, the concept is pretty different ya. The best pork and chicken chop I have ever tasted. Was there over the weekend (not far, mah). Pork chuup was pretty tender. Loved the pork chuup, especially the spinach. Definitely thumbs up to this place! the chicken drumstick looks good!!! Interior looks strangely similar to FatSpoon's. I wanted to let you know that PURO Coffee will be available for the first time in the US! Go to www.getpropercoffee.com for the first authorized US Distributor. There's a campaign on Indiegogo going on right now to give everyone in US 30% off all pre-orders + FREE SHIPPING + 20% off future orders. Act quick! Once the campaign is over, they will only distribute to Ohio! If they reach goal, you'll get twice the fair trade coffee & tea! If you refer 5 people, you get it for FREE! Share the great news on Facebook, Twitter, Pinterest...!!
! I believe there are many other people who are interested in them just like me! How long does it take to complete this article? I hope you continue to have such quality articles to share with everyone! I believe a lot of people will be surprised to read this article! Thanks for your post!